This was a very well written spy novel. The setting was unusual in that it was in pre-World War I Africa. I’ll stipulate that I knew very little about that place in that time. What is striking is the backdrop of the shear number of animals that were hunted back in those days. If you’re squeamish about hunting, you may want to skip this novel. This article was published on Jan 26, 2019 . 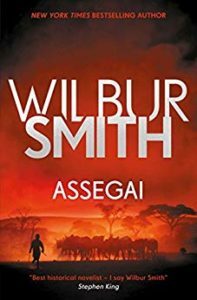 It is tagged Assegai, Leon Courtney, Wilbur Smith. You can follow any responses to this article through the comment RSS feed.